Cancer Biology: Is Lymph Node Removal a Necessary Step for Breast Cancer Treatment? 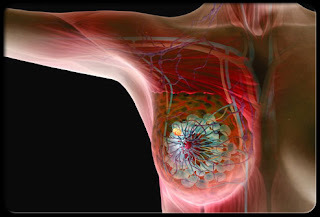 Is Lymph Node Removal a Necessary Step for Breast Cancer Treatment? In my opinion, these findings are strong enough to change the current policy in Breast cancer treatment since the overall survival rate of the ALND group of patients did not show a big difference comparing to other groups. Also, losing Lymph Nodes can have side effects in some patients. For example, Lymphedema, which is the painful swelling in arms after removal of axillary lymph nodes, is one of the results of ALND. “Of the 161,000 women with breast cancer who have lymph nodes removed every year, 35 to 40 percent develop lymphedema” writes Phyllis A.Blach in the book Prescription for Herbal Healing. In addition, from a patient’s perspective having less surgery means less pain and less cost. Therefore, a change in recent guiding principle could have some positive impacts in future patients’ life.